Premier Radio International, Keeping Free Radio Alive. 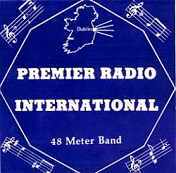 Premier Radio commenced broadcasting in May 1976 on 222m MW 40 watts, and later on Shortwave 6265 Khz. Broadcasts ceased in 1977. The Premier Radio transmitter was later used for the start up of Radio Cill Dara (Kildare Radio) 270m MW. In May 1981 Premier Radio recommenced broadcasts on 6218 Khz, 6240 Khz, and 6567 Khz, until December 1988, when the Wireless Telegraphy Act 1988 became law. In 2015 Premier Radio relayed Hobart Radio International DX Extra Shortwave News Programmes. 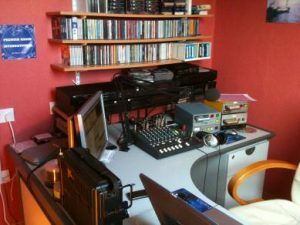 Premier Radio back on Shortwave …..